Do you know what is real and what is a hoax? Today is April First. In many places, people will be celebrating April Fools’ Day. This day is dedicated to a whole lot of fun practical jokes and good times. Not everyone should be laughing. The challenge in life is to tell the difference between the truth and things that are not true, regardless of the label we choose to put on those less-than-true thoughts and comments. Today you may be able to get away with some untruths if you can tell the difference, but not every day. 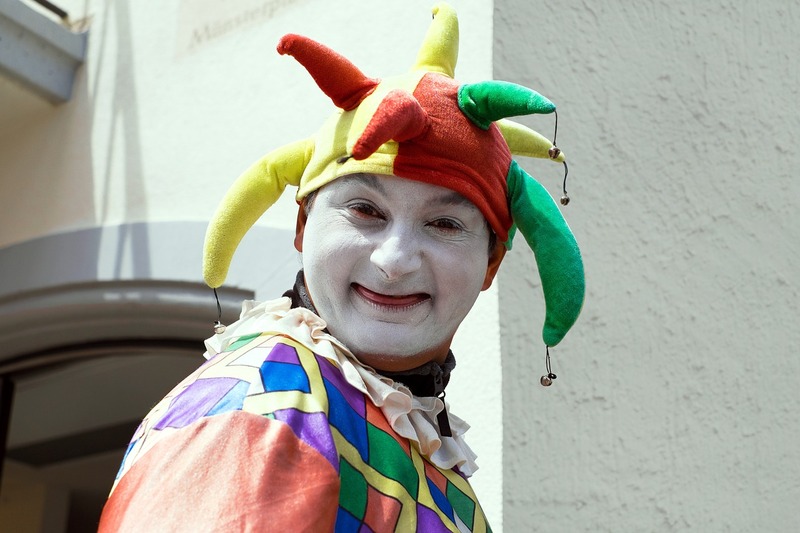 The falsehoods told today in the course of the April Fools’ Day festivities are in the medieval tradition when Fools were jokesters, comedians and the like. When we know things are exaggerated and overblown they can be laughable and a bit of silly fun. Not all untruths are innocent. The most dangerous type of lies are the kind we tell ourselves. People in recovery, from whatever they chose to call their problem, may find that they have been telling lies, giving people stories, so much they have begun to believe their own dishonesty. Substance abusers, required to be dishonest to continue their addiction are at special risk to have stopped seeing the distinction between the true and the false in their own minds. If you have been telling yourself things that are not true and have started to believe those stories they can be a huge obstacle to overcome on your road to recovery. People in recovery need to stop worrying about who they told what and begin to get honest with themselves. The most important person to tell the truth to is you. Some recovering people have been told a lot of things that were not true. Those lies create a lot of pain and sometimes separating the true from the false can be a chore. When the addict starts to get honest the others around them are at risk to become confused about what is true and what is false. Lie, falsehoods and the like are not the only untrue information that takes up residence in our heads. False memories and beliefs, delusions and hallucinations are also traps for the unwary. There are technical distinctions between hallucinations and things that are really there. There is a realm of in-between things that the profession has to call in or out. Did you really see that or were you hallucinating? There are reports of things that look like a hallucination but are not. People with addiction and mental illness may have seen and experienced things that other people tell you never happened. Sometimes we see something and we decide what that means. If we are correct in our apprised that is all well and good. But what if you are mistaken in what you think this means or what has happened? We might call these false beliefs or even delusions. It is likely that we can tell when someone else around us is delusional but can you tell when you are delusional? Are there things that kind of look like delusions but are not? So while walking the road to recovery we need to take a look at hallucinations, false memories, and delusions and try to find ways to understand why our own mind may trick us into believing things that just are not so. This whole area of what is true what is false and what you think you know is a lot confusing. In some posts over this month I want to explore delusions, hallucinations both true and pseudo and some other aspects of getting honest with ourselves. Since psychologists and therapists call some of these phenomena by different names and understand it differently I want to start by looking at how these two professions get such different answers and then proceed to some thoughts about why your brain and our survival may have benefited at times from believing things that turn out to not be true. Stay tuned for more on the subject of the real and the false, truth and lies over the coming month. These post will be interspersed with some other topics as they come up so as not to put all the readers to sleep at the same time. Have a great day fooling around and we will return to the search for reality and recovery tomorrow. This entry was posted in Schizophrenia & Psychosis and tagged april fools day, Behavioral Health, Counseling, Delusion, Hallucination, memory, motivation, self-esteem by David Joel Miller. Bookmark the permalink.